Founded in 1947, the National Industrial Basketball League was formed for mill workers from all across the United States to compete in basketball. When the league couldn’t keep up with rising NBA salaries, the NIBL reorganized and became the National Alliance of Basketball Leagues. On the inside below the rear collar is a “Rawlings” manufacturer’s tag with a size, “L” flag tag attached. The zipper is functional. 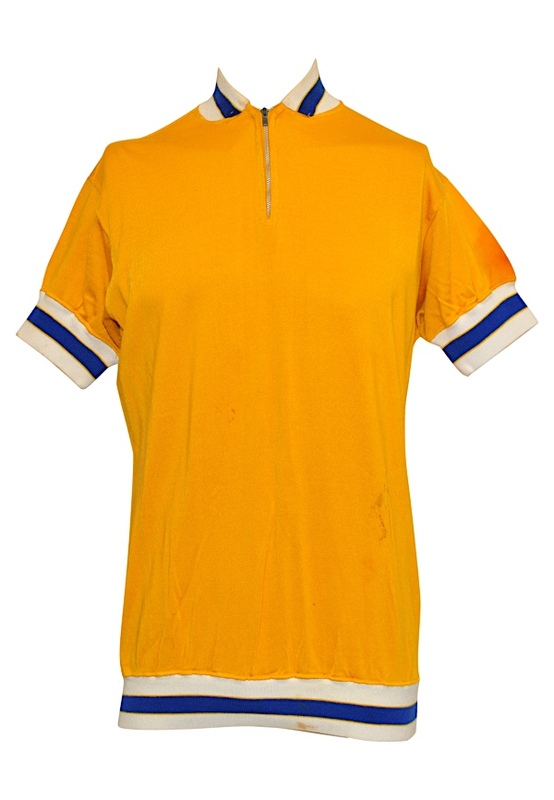 The yellow warm-up jacket has white, yellow and blue-striped cuffs on the sleeves and neck area. This warm-up jacket was properly tagged, was presented to us as player-worn and in our opinion shows appropriate wear. Accompanied by an LOA from McKee with a notary stamp.